What are the key elements of our system? Oily water is pumped into a precisely engineered tapered pipe, creating a vortex generating 1,000 times the force of gravity. 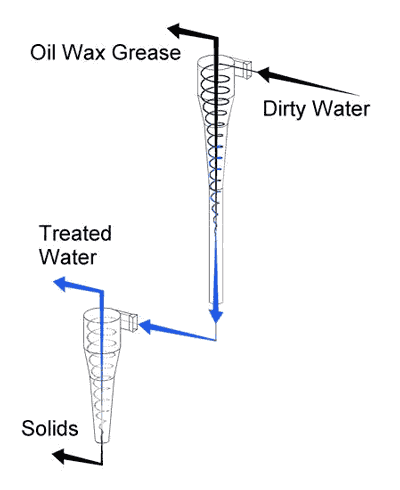 Under such force the heavier water is pushed to the outer edge of the vortex and discharged from the the smaller end while the lighter fats, oils and grease moves to the centre of the vortex and discharged at the inlet end. It has no moving parts, rarely needs cleaning, works much faster than gravity, and is powerful enough to treat even 15 micron oil droplets! Find out more about Ultraspin. 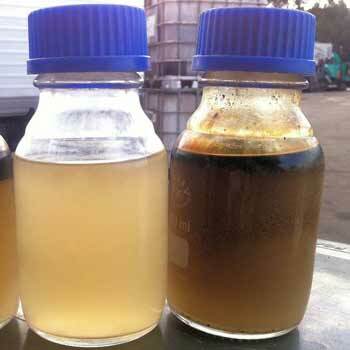 Ultraspin treatment of heavily contaminated vehicle wash water. Inlet on right; treated water on left. 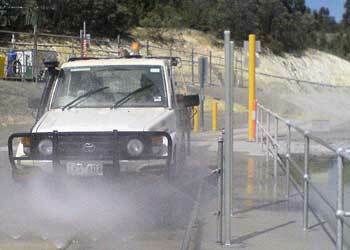 In a typical car wash facility low cost, low maintenance but reliable oil water treatment systems are needed. Water is re-used or discharged to sewer. 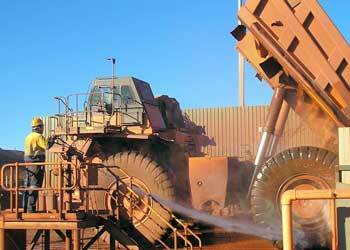 In the case of Green ‘n’ Clean, water from the wash enters the first collection pit where heavy solids drop out. An Ultraspin separator system was put in place to remove grease, oil, wax and suspended solids. The Ultraspin treatment system aerates the treated water to prevent grey water smell. With a treated water flow of 3.5 m3/hr, a 1000 L water re-use tank and sediment filter, water is treated down to 5 microns ensuring great wash recycle water quality. Swan Transit is contracted to Perth’s public transport network to provide bus services to the northern reaches of the city and currently operates eight bus depots. 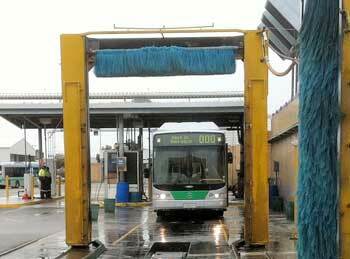 Under the direction of the Public Transport Authority’s commitment to environmental practices, five of the depots were retrofitted with oily water separators and Swan Transit found the Ultraspin system to be a reliable system with low ongoing costs that meet their performance requirements. 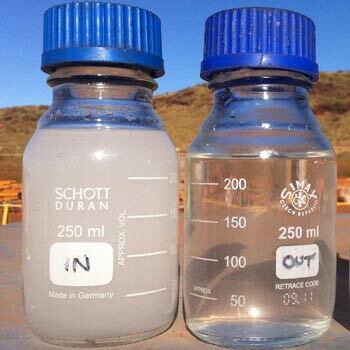 Wastewater from this type of application is notorious for detergent and road grime content, making it particularly ‘dirty’ to clean. 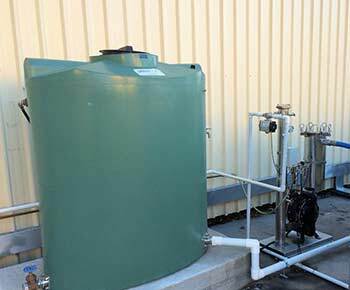 Ultraspin installed a full water reclamation system that included skimmers, a de-sander unit integrated into the electrically operated oily water separator. 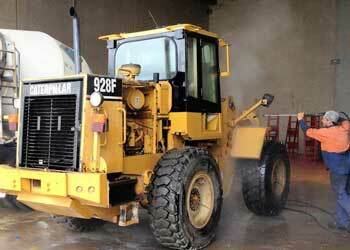 Final aerator polishing was included.